One of my newest projects, is to try and "adjust" my old "tried and true" recipes (which feed an army) into recipes for two people. There are a lot of us "empty nesters" and single people who do not need a whole pie, or a whole casserole for six...so this winter, I will be posting a few of my "trimmed down" recipes. 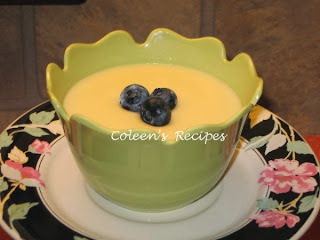 Today's recipe for two, is a good old fashioned vanilla pudding. It is quick, easy and uses simple ingredients. What a nice way to finish off any quick meal. In a heavy bottomed sauce pan, mix the first 4 ingredients well and cook (and stir)over medium heat until it comes to a boil. After it comes to a boil, reduce the heat a little and continue to cook/stir for two minutes. After two minutes, remove from heat and whisk about half of the hot mixture into the small bowl of lightly beaten egg yolk (whisk fast, so the cooked mixture will temper the egg yolk and not scramble it). After thoroughly mixed, put it all back into the sauce pan and bring back to a gentle boil. Stir and cook one more minute. Remove from heat and stir in the butter and vanilla. Let this cool for about 10 minutes then pour into dessert dishes. Place a small piece of plastic wrap directly onto the surface of the hot pudding (so it doesn't form a tough skin). Chill for a couple of hours. NOTE: You can easily double or triple this recipe. We are in opposite cooking fields Coleen I'm starting to look how to stretch my tried and true for my boys ever growing appitites! Hi Coleen, How are you? We too are empty nesters and this recipe is precept for us. I will be reading your blog every day. Thanks for sharing. I'm so glad to have found you on Monica's blog. I, too, am trying to adjust recipes for just two. We have our favorite things but don't like having so many leftovers. 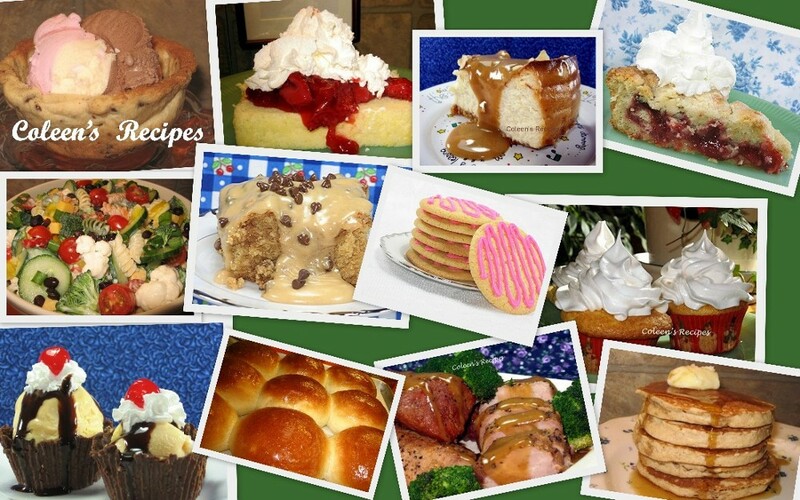 I do still have some recipes that I used when we were first married. Some we will like to repeat. Others, not so much. I'm so glad you're doing this. Since there's only 2 mouths to feed in this house, I usually make casserole's in 2 dishes (eat one, freeze the other) or I cut recipes in half a lot. Sometimes if I just want to try something, I cut recipes down to 1/3 or 1/4. Thanks for this. Welcome back, I actually gasped when i clicked on and saw you were blogging again! I love the idea of cutting back your recipes. This will fit my household. I'm almost an empty nester. Besides, I don't need to eat too many portions, so I love this new concept of yours. this looks so good and flavorful! love it! Chocolate does nothing for me.....I love just plain vanilla pudding. My hubby was asking for some cook n serve vanilla pudding. Found this scaled down recipe on your blog. It is the perfect size for our empty nest. Vanilla is a favorite and this recipe is yummy. Thanks for sharing. Love this recipe. Great vanilla taste. Perfect size for our empty nest. Thanks for sharing.